I’m often surprised by the number of supposedly “serious” shooters who have accumulated multiple handguns, ostensibly for self-defense, but don’t own a shot timer. Taking a wide assortment of arms to the range for an afternoon of blasting away just for the sake of making some noise can be a fun way to spend a Saturday, but it is not what I’d call “practice” and it’s a terribly inefficient way to actually improve one’s marksmanship skills. Likewise, picking a shooting drill from your favorite high speed, low drag tactical instructor and running it over and over until you get a score you can brag about might feel a lot like meaningful practice, but it’s really a waste of ammo compared to a more strategic approach. 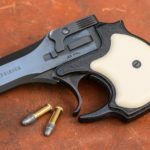 The video below offers a few guidelines for approaching your handgun practice the same way you would practice anything else that you intend to become proficient at: with an intentional plan. 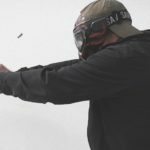 If you’re looking for some specific drills to try after watching the video, check out the drills section on pistol-training.com. In the self-defense world, you hear a lot of talk about the importance of training and practice. Training is pretty straightforward. That’s when you spend some time with a skilled instructor who can teach you new techniques and critique your current performance. That’s pretty vital, especially when you’re just getting started and learning the fundamentals. But then it’s up to you to practice on your own to actually improve, and that’s where there’s some ambiguity. Rarely does anybody actually talk about how to practice. Practicing doesn’t just mean shooting. You could go to the range every week and fire off a couple of boxes of ammo and never actually improve. That’s why I’m not impressed when somebody tells me how many years they’ve been shooting or how many rounds they shoot every year. That’s completely irrelevant. The quantity of your practice doesn’t mean anything if it’s not quality practice. So how do we get quality practice? There are tons of drills and tests and exercises online to give you something to work on at the range, but those aren’t really all that helpful on their own if you don’t have some kind of plan. So instead of just telling you what drills to do, I’m going to suggest a few guidelines for developing your own meaningful practice strategy to improve your shooting. The first thing you have to do is determine your goal. What exactly are you trying to accomplish? And be really specific. If you just say “I want to be a better shooter”, that’s not really going to help you out all that much. You need a concrete goal so you know when you’ve achieved it. So maybe you want to win a local IDPA match. Or maybe you just want to be able to pass the FBI qualification test. Pick something that’s ambitious for your current skill level, but also something that’s reasonable considering the amount of time and resources and motivation you have. Once you have a goal in mind, the next step is to start breaking it down into smaller components. Figure out what individual skills you need in order to achieve your big goal, prioritize those skills, and start making measurable short-term goals that are just outside your current ability level. So for example, for me, I put a priority on a quick accurate first shot out of the holster and also the ability to make multiple accurate hits in quick succession at ranges from about 3 to 10 yards. I think those are two of the most important skills you can develop for concealed carry and those are the ones I want to be able to perform at an expert level under any circumstances. So I have some very specific short-term goals in those areas. Right now, my goal is to be able to hit a 3×5 card at 7 yards from concealment in 1.5 seconds, any time, on demand. I also want to be able to consistently shoot a 2.5 second Bill Drill. I’m getting close on both of those goals, but I’ve still got a lot of work to do. So then, I’ve got to break it down even further. I don’t go to the range and just shoot 3×5 cards and Bill Drills — that’s just what I use to measure my progress. I have to look at each individual component of those skills. So if I’m not happy with my draw stroke, maybe I’ll just work on clearing my cover garment and getting a full firing grip on the gun in the holster for a while. I’ll just do that one step. Or maybe if I’m yanking shots off target on my Bill Drills, I’ll run some drills that are designed to work on trigger control and sight tracking. The key is to isolate the individual components of each skill that you’re not very good at and work on those. One more critical piece of meaningful practice is to track your progress. You have to have some way to know whether you’re actually improving, and the easiest way to do that is to record your results on certain drills and tests and look at how they change over time. I don’t write down my times or scores for every single drill that I do, but I always record my first and last drill of the day, and I make a few notes about what I worked on in between. I record my first drill because for self-defense, only your cold performance matters. I might be able to do some pretty impressive shooting once I’ve had a chance to get warmed up and tweak a couple of things. 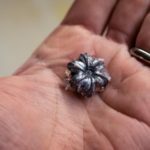 But if I can’t just walk out on the range without any prior preparation and shoot a drill under my target time, there’s no reason I should be able to expect that I could do that when it really matters in a life and death situation. I usually try to wrap up my range session with the same drill that I started with. That gives me an idea of what my current potential is. So if I need a new goal to shoot for, I will often use that score from when I’m warmed up as my new target for my cold performance. If you start using some of these guidelines and choose some drills that are appropriate for your goals, I guarantee you’ll start to see some rapid improvement in your shooting, and you’ll be getting a lot more out of your time at the range. Why Use a Shotgun for Home Defense?